What we sense and what we feel makes up the bedrock of our sense of self. Decisions are made for our bodies and emotions and by our emotions, like what to eat, who to avoid, what to wear; our reason is entrained as a tool to justify or rationalize decisions which are fundamentally emotional. I may tell you that I am dressed as I am for the weather, but more basically, my choice of clothes is a choice constrained by what I think others will think and by the prevailing fashions of my culture. Because our thoughts and preferences define who we are, we believe our rationalizations and justifications are reasonable while ignoring and denying our strong and pervasive emotional intentions and motivations. We ask ourselves such profound and existentialist questions as, “What will they think if my socks don’t match?” Whether we identify with an autonomous self at late prepersonal, groups at early personal, reason at personal, with the egalitarianism and pluralism of late personal, or a cognitive multi-perspectivalism at vision-logic, our fundamental orientation remains grounded in psychological geocentrism, the experiential reality that we are the center of our universe. Just because we learn cognitive multi-perspectivalism and attain a world view that transcends and includes multiple world views, or just because we access states of oneness with nature, goodness, emptiness, and the non-dual, there is no reason to believe that the pervasive and overwhelming influence of our everyday consciousness, locked within the gravitational pull of our habitual socio-cultural context, will not organize such experiences in terms of our psychological geocentrism. For example, look at accounts of near death experiences. Notice how the experiencer remains the center of the narrative as well as how it is described in a particular, personal, psychologically geocentric way. Even overwhelming mystical experiences are refined down so that only that which is compatible with our sense of who we are gets through. Therefore, the default assumption to make regarding your own level of development is that psychological geocentrism defines your sense of who you are, but that it is hidden by your highly developed cognitive, self-system, or auxiliary lines and the various state openings you have experienced. These allow you to believe that, in your expanded, elitist sense of self, that you have transcended such a narrow self-definition. Yes, your sense of self has expanded to include others. However, you remain the center of your reality. That’s psychological geocentrism. 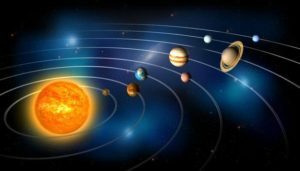 Psychological heliocentrism is subset or variety of psychological geocentrism. It is analogous to a Copernican orientation to reality. As the Self, Atman, soul, Absolute Truth and Goodness, we are One with Everything; as such, we are both Reality and the center of Reality. 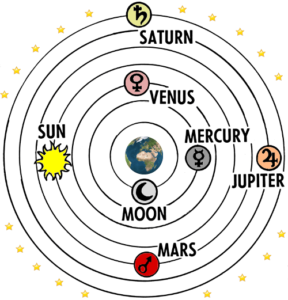 Psychological heliocentrism is grandiosity on steroids disguised as mystical enlightenment. It is the normal conclusion of people who have had state realizations and mystical openings: “I have seen the Truth; I now know Reality. Because Truth and Reality are One, I know not only my own Truth and Reality, but yours. Therefore, you need to listen to me and you will know Truth and Reality as well.” If this sounds familiar, it is because this is the script that just about every religious and spiritual teacher that has ever lived has followed. If you only believe and follow him or her, you too can graduate into psychological heliocentrism.